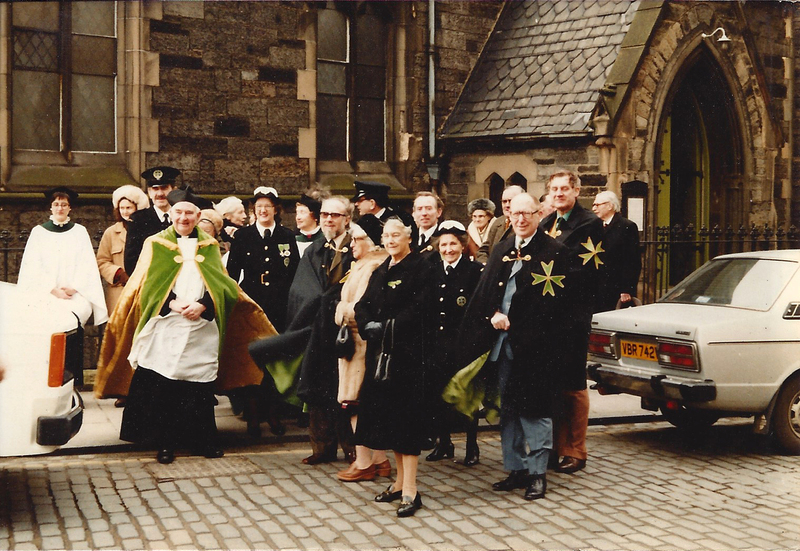 The Order of St Lazarus Emergency Ambulance Corps – St Vincent's Chapel, Edinburgh, the village church in the heart of the city. The Order continued its long established charitable work in the field of supporting those suffering from skin diseases especially leprosy. Additionally it sought to establish a link with a home for the geriatrics and raise funds for cancer and leukaemia research. However its major humanitarian endeavour was the establishment of the St Lazarus Emergency Ambulance Corps. There was a perceived lack of trained personnel to give assistance to the regular emergency services following the abandonment of the Civil Defence services. This was especially so in Scotland where no local authorities had taken over the role of the civil defence services – some in England had. A result of this was that the Commandery of Lochore took on the responsibility of providing a small emergency ambulance corps – many of the volunteers being ex civil defence personnel. 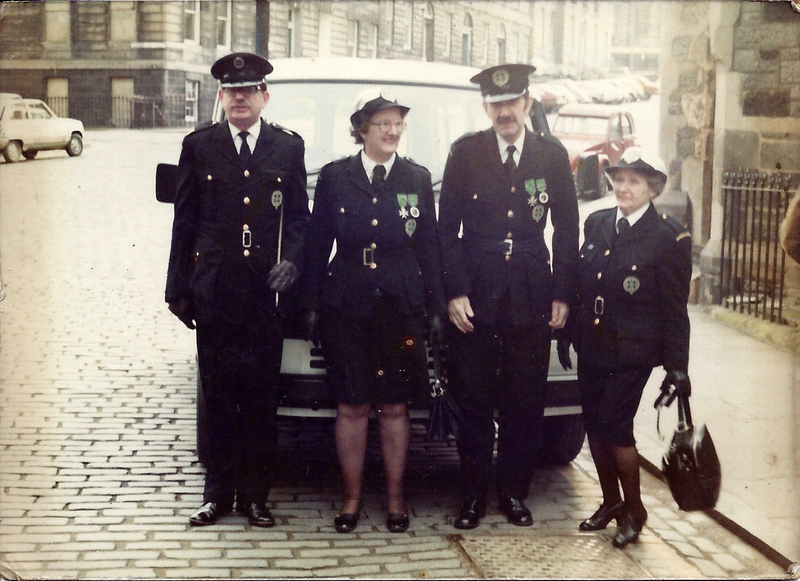 The headquarters of the ambulance corps was to be the St Vincent’s Church hall (though this did not happen – Glasgow became the headquarters). Its role was to provide additional cover in the event of major disasters and also to cover various public events. By 1971 the ambulance corps had 5 ambulances in operation – with a further 2 on order. These were based in Glasgow, Edinburgh, Galashiels, Stirling and Ayr – each town having its own company led by a company commander (later there were ambulances also based in Northern Ireland). Unlike the civil defence whose role was mainly to transport casualties the ambulance corps were also to be trained in first aid, handling casualties etc. There was only one ambulance based in Edinburgh. 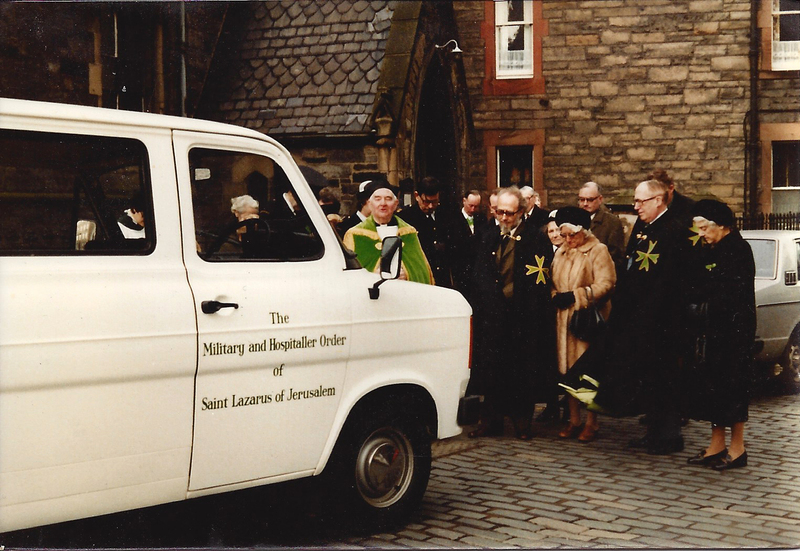 It did not cover the public events which Colonel Gayre had intended but was used for general transport of the sick and elderly – for example children suffering from leukaemia, by Lamb’s House and Stockbridge House, the Leith Benevolent Society etc. Whilst it was largely used for transport, the volunteers, Andrew Stoddart and David and Jesse Smith, all had St Andrew’s Ambulance training. The service finally ceased after Colonel Gayre died.